We love Spring, the season of rebirth and new growth! It's a great time to rethink your living spaces, reorganize and declutter your life. Why not start with your closet? 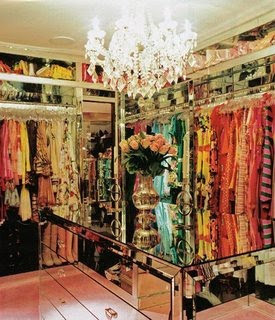 As most women, here at MM Design we love collecting beautiful objects and adding to our growing closets. Many people often find themselves overwhelmed with the abundance of things they have amassed over the years. Rethinking your closet can not only simplify your daily routine, but also beautify your life! Whether your desire is to do a complete redesign of your closet space or simply update it with new colors and organizing systems, we can offer some great design ideas to help you "spring" into Spring! Custom cabinetry creates an elegant, tailored look. Opening up the closet to your bathroom and adding comfortable seating can create a luxurious and magnificent Master Suite! 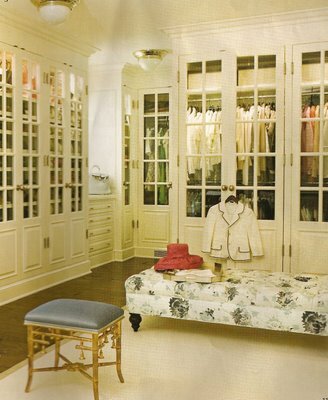 Organize according to color and add soft feminine touches to create an intimate space. Mirrored surfaces and plenty of light will make the space feel larger. Tall, exposed shoe shelves make shoes easily viewable and accessible. To update and add light to a small, dark closet we recommend covering the walls in a beautiful, light-colored wallpaper and adding reflective surfaces. 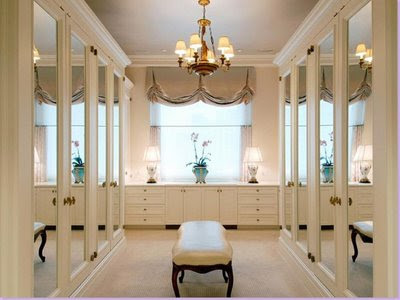 A full-length mirror will enhance the space and create more light. 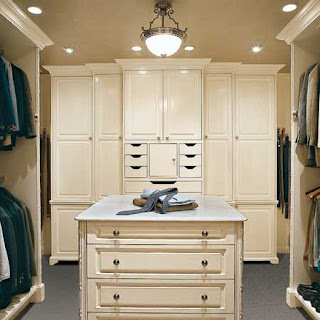 Transform a bedroom in your house into a wonderful, spacious closet. A window and mirrored closet doors give this space plenty of natural light. 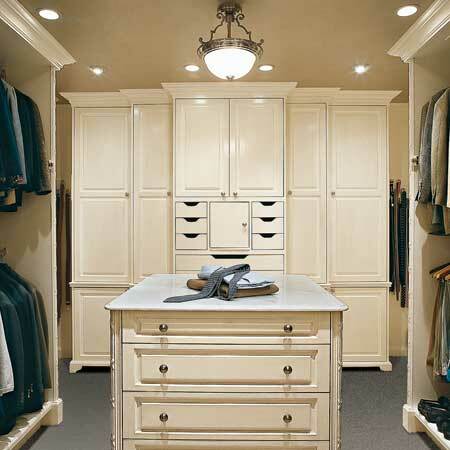 Create a cabinetry island in the center of your closet for additional storage. Hanging a chandelier or even a pair of chandeliers is a fantastic way to add luxury and sparkle to your closet. 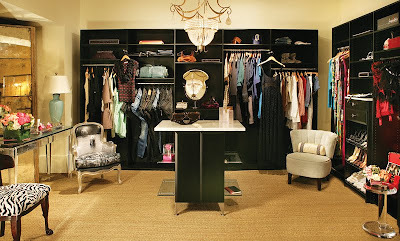 A stunning as well as functional and organized dressing room!